Social media is an incredibly powerful tool for getting pets adopted, as well as for growing an adoption organization's pool of donors, volunteers and foster homes. But as social media has grown in power, it's also become more complex and specialized, with changes and new platforms emerging almost daily. Please join Maddie's Fund® and social media consultant Christie Keith as she presents Social Media: 6 New Things Animal Organizations Need to Know. Changes to Facebook that can help or damage your adoption efforts. 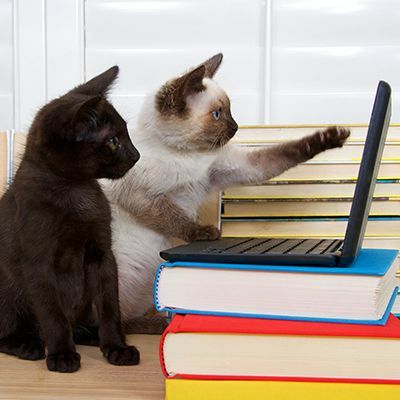 Newer, less-used, and emerging social media platforms for pet adoption. Innovations that can help you maximize your time on social media. How to avoid the biggest pet adoption social media mistake of all. How to keep up with the rapidly changing social media world in 15 minutes per week. How to stop "preaching to the converted" and attract new adopters, donors and volunteers. Social Media: 6 New Things Animal Organizations Need to Know is part of an ongoing series of educational programs from Maddie's Institute, the academic division of Maddie's Fund®, providing the most innovative animal welfare information to shelter staff, veterinarians, rescue groups and community members to increase the lifesaving of homeless dogs and cats community-wide.